German mathematician; born June 10, 1816, at Königsberg, Prussia; died there May 14, 1887. 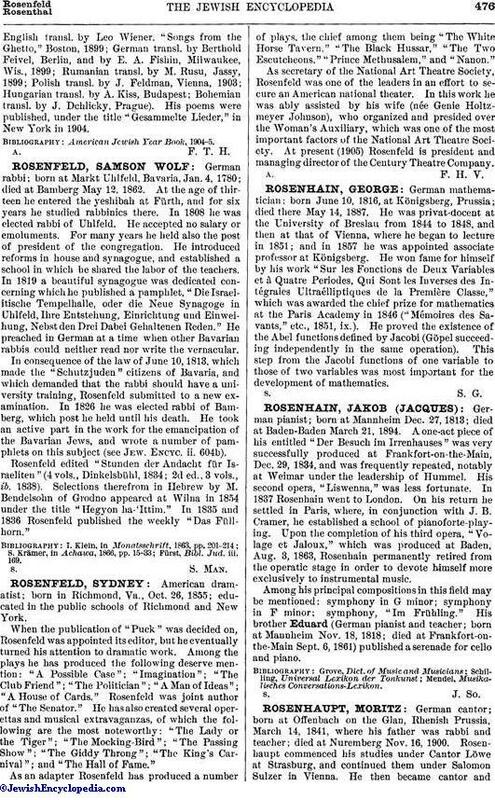 He was privat-docent at the University of Breslau from 1844 to 1848, and then at that of Vienna, where he began to lecture in 1851; and in 1857 he was appointed associate professor at Königsberg. He won fame for himself by his work "Sur les Fonctions de Deux Variables et à Quatre Periodes, Qui Sont les Inverses des Intégrales Ultraélliptiques de la Première Classe," which was awarded the chief prize for mathematics at the Paris Academy in 1846 ("Mémoires des Savants," etc., 1851, ix.). He proved the existence of the Abel functions defined by Jacobi (Göpel succeeding independently in the same operation). This step from the Jacobi functions of one variable to those of two variables was most important for the development of mathematics.